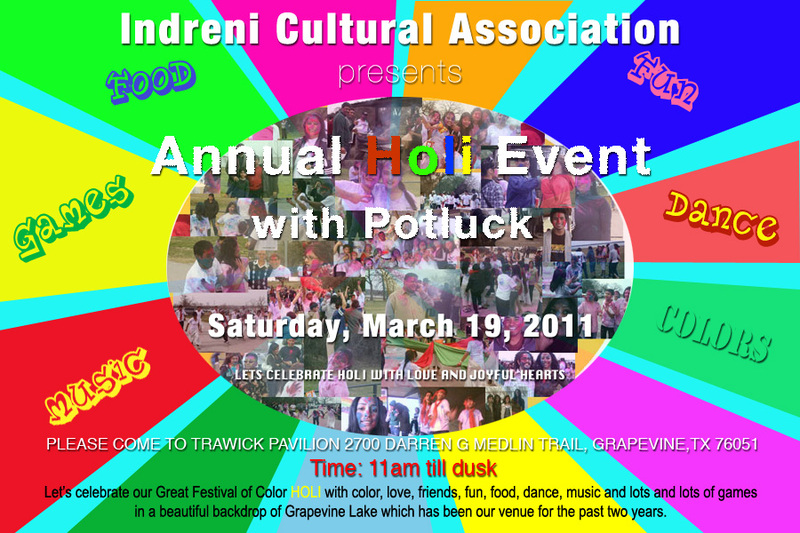 Continuing the trend for the third year Indreni Cultural Association is organizing a cultural event to celebrate “Holi” – the festival of colors on Saturday, March 19, 2011 in Grapevine, Texas. Holi, also known as Fagu Purnima, is one of the widely celebrated festivals in Nepal. The festival of color brings happiness and joy as we throw color-powder and colored water at each other. Ticket: Free admission to all! Activities for the event include Holi Dance, Kids games, Sports (Volleyball, Soccer), and more. It is suggested that you were white t-shirt to play with the colors.